Retirement Transitions has the tools to help you lower your Medicare supplement insurance costs while keeping the exact same coverage. You can go online to Retirement Transitions and run a Medicare supplement insurance quote. Use our online Medicare supplement quote engine. It allows you to instantly see rates for Medicare Supplement Plans in Nebraska. Compare Medicare supplement insurance quotes in your area. Get a Nebraska Medicare supplement Plan F quote because it provides the most comprehensive coverage for seniors age 65 and older. 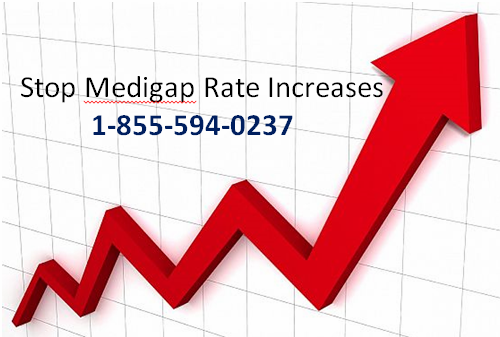 You should also shop for a Medigap Plan G quote online. With a Nebraska Medicare supplement plan F you don’t need to worry about co-pays, coinsurance, or any deductibles. Access multiple Medicare supplemental quotes from several Medigap insurance companies across Nebraska. Whether you live in Omaha, Lincoln, Hastings, Grand Island, Bellevue, or Kearney, NE you’re able to view quotes and apply for a Medicare supplement plan through Retirement Transitions. We cover the entire state of Nebraska. After you find a Medicare supplement insurance company with the Medigap Plan F and price you can afford, you can simply give us a call and start the application process online. If you already have a Nebraska Medicare supplement insurance plan, you can easily switch. Switching plans isn’t difficult. Go through a simple underwriting process that allows you to switch plans for cheaper Medigap. No medical physicals are required. Will your Nebraska Medicare supplement coverage change? Medicare supplement plans are standardized by the federal government. Each Medigap plan has the same coverage and will not change between Medicare supplement companies. You are able to instantly have the same coverage for each specific plan no matter which insurance company you apply with. If you aren’t approved, stay on the plan you have and keep getting coverage. No company can discriminate against you for trying to enroll into another Nebraska Medicare supplement insurance plan. Just don’t cancel your current supplemental coverage until you’re approved. Rate increases in 2014 have been seen across-the-board. This is why we recommend comparing Nebraska Medigap supplemental plans and rates from multiple insurance companies. If you prefer to speak with someone over the phone call (402) 805-4626. Our philosophy at Retirement Transitions is to get you the most comprehensive coverage at a price you can afford. We don’t believe in invading your personal space. You won’t receive telephone calls or email solicitations from us. We put you in the driver seat to take control of your Nebraska Medicare supplement rate increases to keep Medigap insurance cost down. Retirement Transitions is your friends in Medicare insurance benefits so contact us now or start looking at Medicare supplement quotes online. Great information, Dan. Searching for information regarding Medicare, and Medigap plan coverage/rates on your site has been surprisingly simple and easy to do! I look forward to working with you.